S.R. Bissette's Tyrant Average 0.00/5 - out of 0 total votes. 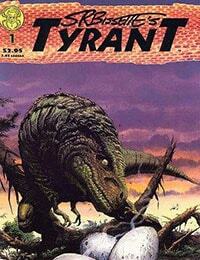 A comic book series published by SpiderBaby Grafix about a Tyrannosaurus rex, written by Steve Bissette.